Welcome to my American Cannabis Summit review. If you are like me and have watched the hour long video of this summit that took place on October 23 2018, and are wondering if the opportunity is too great to be missed, or if the American Cannabis Summit scam is real, you have landed at the right place. Here, I will give my honest, unbiased and in-depth review of American Cannabis Summit, by looking behind the real motive behind this free summit, and whether there is money to be made. 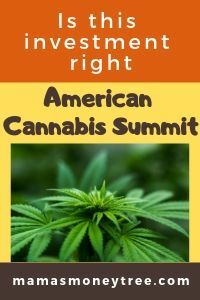 American Cannabis Summit is an informative discussion about the up and coming cannabis industry, which leads to a sales pitch for a membership with National Institute for Cannabis Investors. It offers monthly newsletters to keep you up to date with the latest development in the cannabis market, as well as useful information and tools that can help you make profitable investments in pot stocks. The financial team behind this product is a strong and professional one. So I do believe this membership will be useful, if you are already well-versed in investing. Read on for the detailed review of American Cannabis Summit, and why I recommend it provided you know what you are doing. Nope, it’s got nothing to do with smoking marijuana and getting high. With the legalisation of CBD (cannabidiol) found in cannabis plants, and the increasing awareness of its amazing healing effects, the cannabis industry looks set to explode. The American Cannabis Summit discusses this potential $1 trillion industry, and how the average American can profit from this explosive phenomenon. The panel consists of Mike Ward, Former Speaker of the House John Boehner, and Danny Brody. These are all prominent figures in the arenas of finance, politics, and cannabis industry. The focus of the video presentation is primarily on investing in pot stocks, and how you can become a cannabis angel investor. In fact, Danny Brody is behind two of the largest cannabis stock IPOs (Initial Public Offering) ever, and today those companies are worth $1.6 billion. A wealth of information was presented which, unsurprisingly, led to a sales pitch. It’s quite obvious the discussion was a scripted one. Ultimately, they want to sell you something. Which may or may not be a bad thing. And that is precisely what we will be dwelling into next: is this an opportunity for you to make money, or for them? The American Cannabis Summit channels you into a membership program on National Institute for Cannabis Investors (NICI), when you click on the ‘learn more’ button. NICI, founded by Mike Ward in September 2018, strives to bring information to the public about the cannabis industry, which stocks may be profitable to invest in, and lots more other trustworthy news, through their newsletters. So I do believe this is a team that will bring investors the information, access and guidance needed to make a fortune in the cannabis market. The Cannabis Profits Daily is a free, daily newsletter that keeps you abreast of the breaking news, market movements, and profit opportunities that arise. Founders membership is priced at $39 per year for Gold level, where you will get 4 special reports, along with a monthly newsletter. For Diamond level membership, it is priced at $79 for 2 years, where you will get an additional 3 Diamond-level reports. The Platinum level membership costs $129 for 2 years, giving you Platinum-level reports. On top of these various levels of membership, there are upgrades, which are simply over the top in their pricing. Cannabis IPO Insider: this is a pricey upsell, at $1950 every year, you get an IPO (Initial Public Offering) shortlist twice a month along with their portfolio, and the monthly Cannabis Insider Report. This fee is non-refundable, but you can always cancel your subscription, then they will not bill you for the following year. The Cannabis Venture Syndicate is a whooping $6950 per year as its regular price. Wow. That’s jaw-dropping. But of course they site examples of people making phenomenal figures. And I believe they do offer different discounted rates depending on when you subscribe to this. I have to admit, it looks enticing, glamorous and all. But all investments come with their own risk. Nobody is going to be responsible for any losses you make, except for yourself. The same goes for wins, of course. Nobody can predict what will happen to the cannabis industry in future, though things definitely look fantastic now, because of legalisation in many states of America, as well as many countries all over the world, as people experience the immense benefits of CBD oil and its products. I’m one who wholly believes in going natural on any health remedy, as nature does heal. I’m on a few health forums and FaceBook groups due to my kids’ health issues, and I have read how this miraculous plant has helped people in so many ways. I wish I could try it, but it’s not legal in my country, as the leaders are not enlightened. Yet. Anyway, back to investing in the cannabis market. You see, anything can happen. Everything looks good and positive now. What if tomorrow, scientists discover some substance that is doing us more harm than good in CBD? Then what? Is the cannabis market going to crash? Of course many people will say this can never happen. But really, who knows? My point is, the risk is there, whether you like it or not. In any kind of investment, I would do it only if I know the industry and company well (which is exactly what NICI is for), and if I have excess cash that I can afford to lose it all. If you are banking on this investment to sustain your living expenses, then my advice is no. You may be unwilling to take risks (like myself), or you may be lacking the excess cash to invest. Either way, or due to whatever other reasons, I want to show you this option to make some serious money online, without the risks associated with investments. You do not have to sink in any upfront cost to this online business. 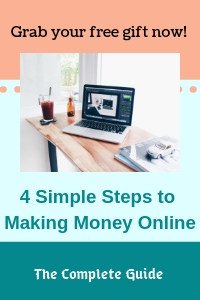 In fact, you can start totally for free, try it out for yourself, before deciding if you want to go with this route to make an online income. This is exactly what I am doing right now, working full time from home. 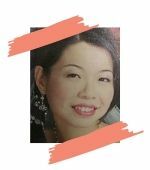 It is the path that has produced countless highly successful internet marketers, where the sky is the limit. Everyone is on the internet these days. If we know how to leverage on this opportunity, there is no end to how much you can make. But of course everyone starts small. Companies selling CBD oil and its products are sprouting all over the place. It certainly seems like the time to invest in this industry is right now. 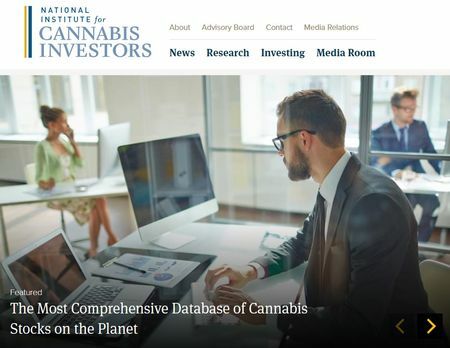 The most qualified and influential experts in their own niche have been pulled together to form the information hub and create investment tools for people keen in the cannabis industry. If investment is already on your agenda, and you do know your stuff, then the membership with NICI will certainly offer valuable expert views for the cannabis market. So, enter at your own risk, with excess money that you can do without. At almost $2K and upwards, the upgrades aren’t affordable by just anyone off the street. Is American Cannabis Summit Scam or legit? Does American Cannabis Summit scam you? No, definitely not. Though it did try to make itself look like some innocent report of the cannabis industry without any hidden agenda, it is in fact trying to get people on board their membership program. If you know what you are doing and are already an avid investor, then go ahead and explore the opportunities of investing in the cannabis industry, with this membership. But if you have no experience in investing, then you may want to study some basics of it before embarking on your first transaction. Remember always, that investing is not a get rich quick scheme. Nothing is. Except for lottery, maybe. If you lack the excess cash or the appetite for risk, then consider setting up your own online business instead, which will be able to generate the income for you. Making money online is not difficult, since the start up costs are so low. But many people fail because they keep looking for shiny objects that will bring them wealth fast. Which does not exist. If you have any concerns or questions regarding this American Cannabis Summit review, do comment below, and we will start a conversation from there. What is Commission Shortcut? Another SCAM?